You searched for which does not fit your . We've redirected you to 126-978, which has the proper fitment. 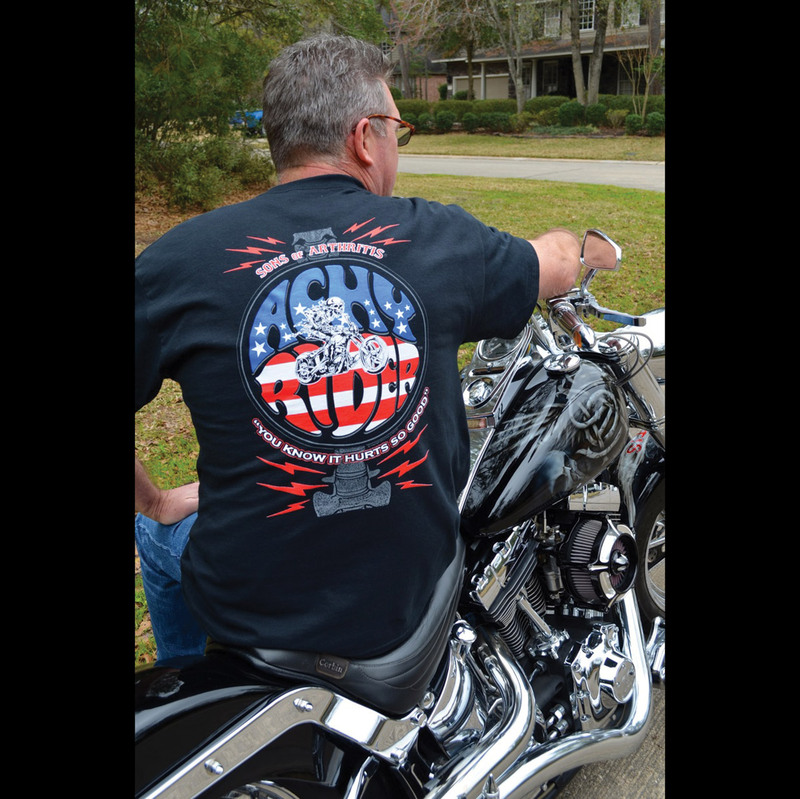 • Achy joints can't keep you from riding - you're a Sons of Arthritis rider! • And you know it hurts so good! Shirt is 'OK'. Good idea, bad color selection. Blue ACHY doesn't work on black shirt. Not 'J & P's fault. Shipping, price, and customer service were as always excellent. Ya'll have a goog'un. A birthday present for a biker buddy. He loved it! shipping was fast. shirt looks great.